Research in my laboratory is directed toward identifying and characterizing vertebrate retinal photoreceptor proteins and elucidating their role in 1) phototransduction and other signaling pathways, 2) rod and cone photoreceptor cell structure and morphogenesis, 3) lipid transport across membranes; 4) protein and vesicle trafficking; and 5) inherited retinal degenerative diseases which are a leading cause of blindness in the world. In addition we are involved in drug discovery and gene therapy as potential therapeutic treatments for inherited retinal degenerative diseases including macular degeneration and retinitis pigmentosa. Rod and Cone Photoreceptor Cells. ABCA4 and Stargardt Macular Degeneration. ABCA4 is a member of the family of ATP-binding cassette (ABC) transporters that resides in outer segment disc membranes. Over 800 mutations in ABCA4 are responsible for a relatively common early onset retinal degenerative disease known as Stargardt macular degeneration. We have recently shown that ABCA4 functions as retinoid-lipid transporter which plays a key role in the removal of potentially toxic retinoids from photoreceptors. We are currently studying the structure, function and mechanism of transport of ABCA4 and disease-associated mutants in order to determine how selected mutations in ABCA4 cause Stargardt disease. We are also exploring the use of drug and gene therapy as potential treatments for Stargardt disease. RD3, GC, and Leber Congenital Amaurosis. RD3 is a 23 kDa protein encoded by a gene associated with Leber Congenital Amaurosis Type 12 (LCA12), a inherited retinal dystrophy which causes severe vision loss in infants. Mutations in RD3 also cause rod and cone photoreceptor degeneration in the rd3 mouse and rcd2 collie which serve as valuable animal models for LCA12. We have recently shown that RD3 plays a crucial role in the trafficking of guanylate cyclase (GC) to rod and cone outer segments. GC is a a key protein involved in the production of cGMP, the second messenger for phototransduction, and associated with Leber Congenital Amaurosis Type 1 (LCA1). Ongoing studies are directed toward elucidating the mechanism by which RD3 facilitates vesicle trafficking of GC to outer segments. We are also carrying out studies to determine if the delivery of the Rd3 gene to photoreceptors using AAV vectors can restore vision and maintain photoreceptor cell survival in the rd3 mouse as a proof-of-concept for the application of gene therapy as a possible treatment for LCA12. 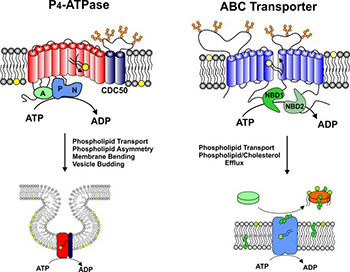 P4-ATPases and ABCA Transporters function in the transport of phospholipids to generate lipid asymmetry across biological membranes and facilitate lipid homeostasis. We have recently purified and characterized a P4-ATPase known as ATP8A2 and have shown that it is localized in rod and cone photoreceptors where it transports or flips phosphatidylserine and phosphatidylethanolamine across cell membranes, a process that is important in vesicle trafficking and phototransduction. We have also shown that both ABCA4 and ABCA1 function as phospholipid transporters, but transport phospholipids in opposite directions. Current research is focused on analysis of the structure and function of various P4-ATPases and ABCA transporters in order to define in detail their mechanism of action and role in biological processes and disease. Cheng, C.L., Djajadi, H., Molday, R.S. (2013). Cell-specific markers for the identification of retinal cells by immunofluorescence microscopy. Methods Mol. Biol. 935:185-199. Coleman J.A., Quazi F., Molday R.S. (2012) Mammalian P(4)-ATPases and ABC transporters and their role in phospholipid transport Biochim Biophys Acta. Epub ahead of print PMID23103747. Quazi, F., Lenevich, S., Molday, R.S. (2012) ABCA4 is an N-retinylidene-phosphatidylethanolamine and Phosphatidylethanolamine Importer. Nat. Commun 3:925 doi: 10.1038/ncomms1927. Molday, R.S., Kellner, U., and Weber, B.H. (2012) X-linked juvenile retinoschisis: Clinical diagnosis, genetic analysis, and molecular mechanisms. Prog. Retin Eye Res. 31:195-212. 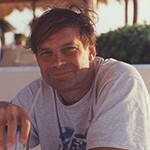 Coleman, J.A. and Molday, R.S. (2011) Critical Role of the β-subunit CDC50A in the Stable Expression, Assembly, Subcellular localization, and Lipid Transport Activity of the P4-ATPASE ATP8A2 J. Biol. Chem. 286:17205-17216. Quazi, F. and Molday, R.S. (2011) Lipid Transport by Mammalian ABC Proteins. Essays in Biochemistry 50(1):265-90. Molday, R.S., Zhang, K. (2010) Defective lipidtransport and biosynthesis in recessive and dominant Stargardt macular degeneration. Prog. Lipid Res. 49:476-92. Azadi S, Molday L.L., Molday R.S. (2010) RD3, the protein associated with Leber congenital amaurosis type 12, is required for guanylate cyclase trafficking in photoreceptor cells. Proc Natl Acad Sci U.S.A. 107:21158-63. 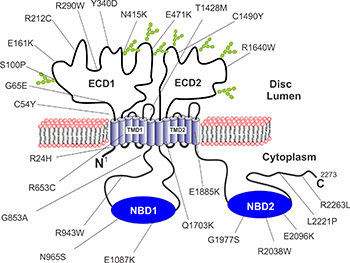 Zhong M, Molday LL, and Molday RS (2009) Role of the C-terminus of the photoreceptor ABCA4 transporter in protein folding, function and retinal degenerative diseases. J.Biol. Chem. 284: 3640-9. Kwok, M.C.M, Holopainen, J.M., Molday, L.L., Foster, L.J., and Molday, R.S. (2008) Proteomics of Photoreceptor Outer Segments Identifies a Subset of SNARE and Rab Proteins Implicated in Membrane Vesicle Trafficking and Fusion Mol. Cell Proteomics 7:1053-66. Min, S.H., Molday, L.L., Seeliger, M.W., Dinculescu, A., Timmers, A.M., Janssen, A., Tonagel, F., Tanimoto, N., Weber, B.H.F., Molday, R.S. and Hauswirth, W.W. (2005) Prolonged recovery of retinal structure and function after gene therapy in a Rs1h-deficient mouse model of human X-linked juvenile retinoschisis. Mol. Therapy. 12:644-51. Zhong, H., Molday, L.L., Molday, R.S. and Yau, K-W. (2002). The Heteromeric Cyclic Nucleotide-gated Channel Adopts a 3A:1B stoichiometry. Nature 420:193-198. Weber, B.H.F., Schrewe, H., Molday, L.L., Gehrig, A., White, K., Seeliger, M.W, Jaissle, G.B., Friedburg, C., Tamm, T., and Molday, R.S. (2002). “Inactivation of the murine X-linked juvenile retinoschisis gene, Rs1h, suggests a role of retinoschisin in retinal cell layer organization and synaptic structure.” Proc. Natl. Acad. Sci. U.S.A. 99:6222-6227. Poetsch, A., Molday, L.L. and Molday, R.S. (2001) “The cGMP-gated Channel and Related Glutamic Acid Rich Proteins Interact with Peripherin-2 at the Rim Region of Rod Photoreceptor Disc Membranes”. J. Biol. Chem. 276:48009-48016. Molday, L.L., Rabin, A.R., and Molday, R.S. (2000) ABCR Expression in Foveal Cone photoreceptors and Its Role in Stargardt Macular Dystrophy. Nature Genetics 25:257-258.